April 3, 2019 (RBB NEWS) – Theresa May will ask the EU for an extension to the Brexit deadline to “break the logjam” in Parliament. “The PM says she wants to meet Labour leader Jeremy Corbyn to agree a plan on the future relationship with the EU. 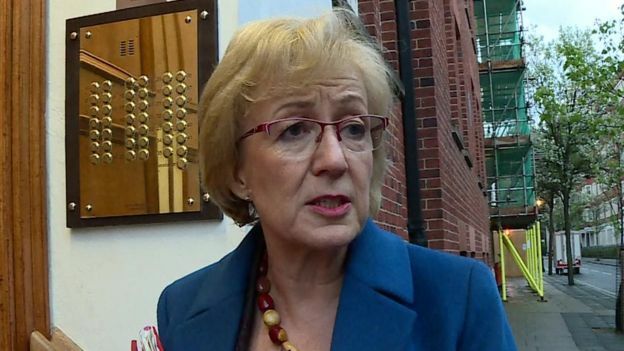 Image captionAndrea Leadsom said cabinet was “trying to find a way to deliver on the referendum”.